Blog Quick Quotes: Off the Page with Susie! 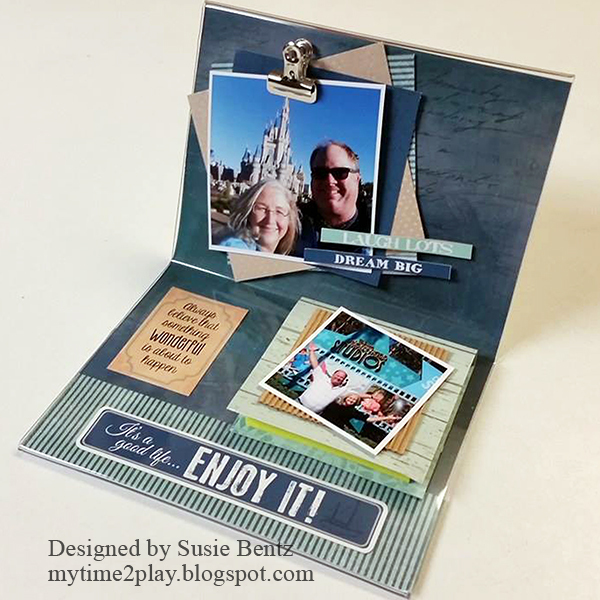 Off the Page with Susie! 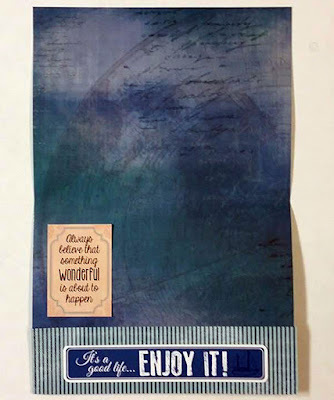 Susie hosting the blog today and I have a little project featuring the Adventure Awaits Collection from Quick Quotes. 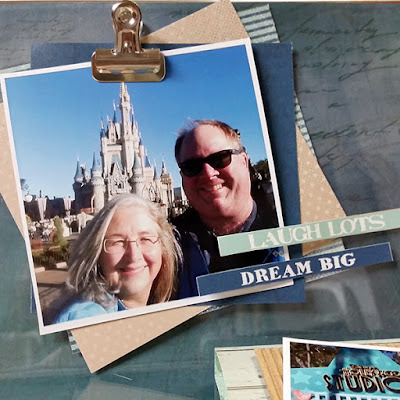 Now that Mother's Day is in the rear view mirror I thought I would get you looking forward to Father's Day with one of my favorite gift ideas - an altered acrylic frame. I picked up this acrylic frame for less than $2 and removed the inserts. I created a one piece replacement that measures 7"x10.5". The striped band across the bottom is 7"x1.75". I added a couple of pieces from the Quotes and Phrases page before I slipped it into the frame and turned it on its side. I cut squares from a mix of papers in the collection and then stacked them together, adhering each layer slightly askew. I used double sided tape to add the paper stack on top of the acrylic frame. I also used the double sided tape to add the clip. 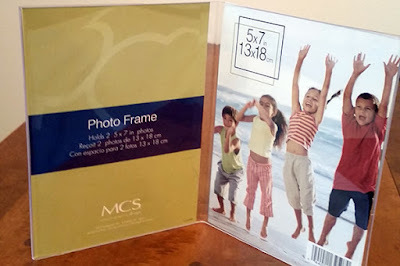 The photo is 3.5" square. I intend to replace the photo occasionally - or maybe just add more on top! 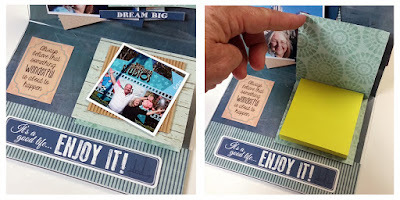 The bottom of the frame holds a 3" square note pad. I created a simple cover - which I adorned with another picture - and adhered the whole thing with double sided tape.